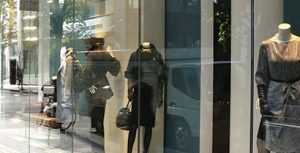 Retail shops and storefronts can take full advantage of the numerous benefits window film have to offer. From branding and advertising to money-saving solutions that optimize buyer experience, Colorado businesses can fully benefit from our wide range of window film solutions. Whether you’re looking to improve energy efficiency and guest comfortability in your Bonnie Brae boutique or you’d like to heighten security measures in your department store in Park Meadows, we’ve got you covered. Protect your investments, guests, and employees with safety and security film. Security film provides extensive protection against smash-and-grab robberies, break-ins, natural disasters, freak accidents, and much more. Security film acts as a passive security measure that delivers around-the-clock protection. 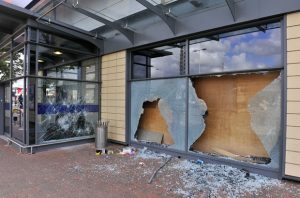 Learn more about safety and security window film. 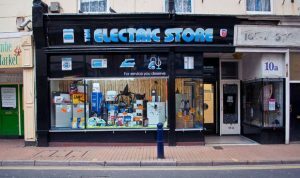 UV blocking window film is prevalent for protecting display merchandise and any products within direct sunlight. UV blocking window film also protects floors, furniture, and building occupants from harmful UV radiation. With the ultimate fade protection, you’ll prolong the product lifespan of your costly investments in Colorado retail spaces. Energy efficient window film helps retail spaces save drastically on energy costs all year-round. This effective solution optimized buyer experience by maintaining comfortable, consistent temperatures during both summer and winter months. Eliminate hot/cold spots while keeping your staff and guests happy. Learn more about energy efficient window film. For Colorado electronic storefronts, glare reduction is vital when making a successful sale to your customers. Glare reduction window film eliminates severe squinting and headaches associated with glare and screen viewing activities. 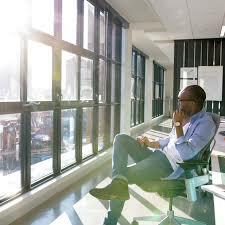 Improve buyer experience, employee productivity, and overall comfort with glare reduction window film. 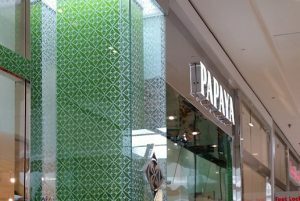 Decorative window film delivers a plethora of branding and advertising opportunities for Colorado storefronts and retail spaces. From improve brand visualization to upcoming sales promotion, decorative film is highly versatile and customizable. These visual marketing solutions can be utilized for both short-term and long-term campaigns. Many storefronts throughout the Colorado area feature deep buildings that sunlight just doesn’t reach. Daylight redirecting film promotes natural sunlight as deep as 40 feet into your retail space. Enhance your store with a brighter, more welcoming feel while also lowering lighting costs. 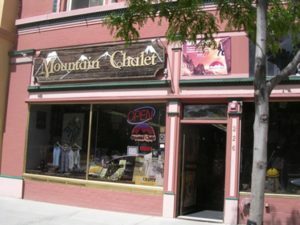 For more information on what window film can do for your Colorado storefront or retail space, contact us today!